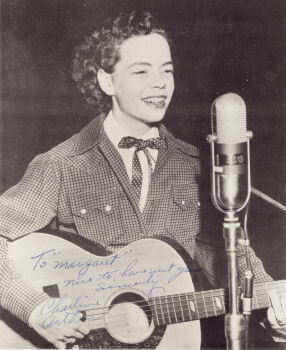 Born Charline Highsmith in 1929 in Henrietta, Texas. A regular on the Big D Jamboree (KRLD, Dallas, Texas) in 1956. Died in 1987. Newspaper article: "Grand Ole Opry Troupe Coming Here", El Paso Times (El Paso, Texas), 1956/Sept. 16. Fan magazine article: "Dallas Bobshell", Cowboy Songs, 1956/Oct. Feature article and sessionography in issue 11 (1985) of Roll Street Journal. Article in issue 60 (1988) of Now Dig This. 2000 Dragon Street (United States) DCD 70100 CD The Big D Jamboree Live!